This is your chance to try SOO BAHK DO with no cost and no obligation. You are eligible for a FREE 30 DAY TRIAL MEMBERSHIP. Call today to set up your first FREE class. Right click on the image below. When the list opens, click on "print picture". 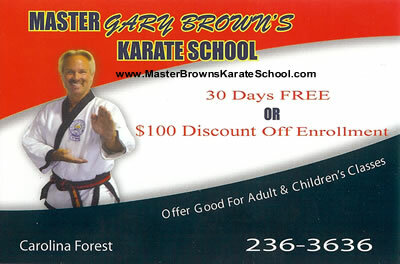 Bring this in with you for your FREE Lessons or Discount.